What a rare find! Here's your chance to get authentic Hurd uncut key blanks for your vintage Lincoln / Mercury vehicle. These original Hurd key blanks are about 60 years old. They are not reproductions. NOT "the style of" or "copied from original" or "official authorized reproductions". These are the original OEM, NOS New Old Stock, key blanks that fit most 1952-1957 Lincoln / Mercury cars and many Ford models. Fits Ignition / Door. Made in the USA. Material is solid brass. Beautiful Key Blanks! These were part of an enormous Dallas locksmith collection with items going back to the Civil War. As real as it gets! Please look carefully at the pics. The pics are an important part of the description. Thanks for looking! RARE! NOS, New Old Stock. 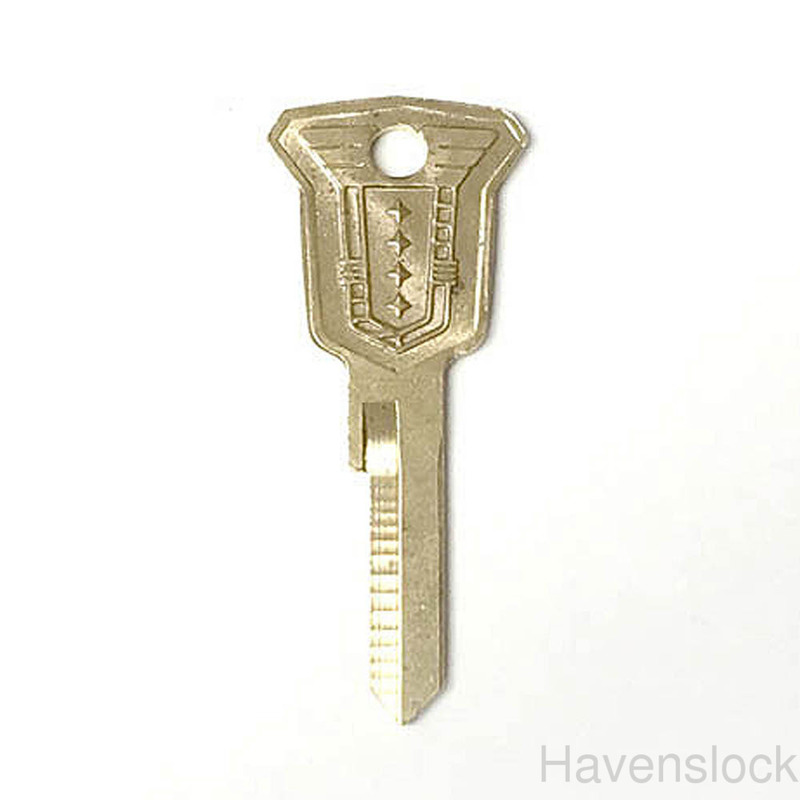 Original Lincoln/Mercury Key Blanks. NOT REPRODUCTIONS!